ACC fans voted for Wake Forest’s Katie Stengel’s “Bend it like Beckham” soccer shot and goal in double overtime to win their NCAA women’s soccer game. 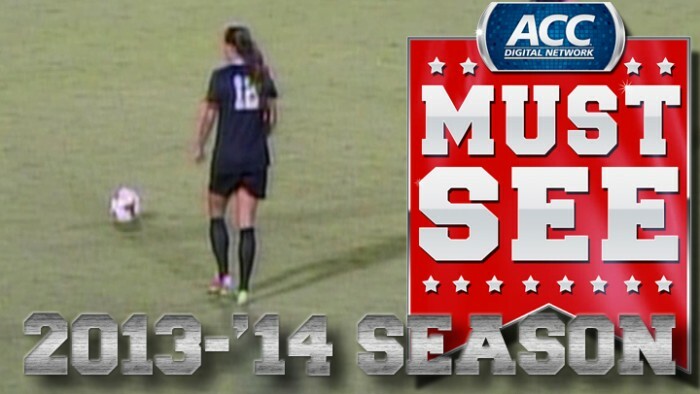 The Sports Techie community blog shared the 2013- 2014 top plays of the year earlier this week. To relive all the best ACC Must See Moments visit theACC.com and follow @theACCDN on Twitter and Instagram. 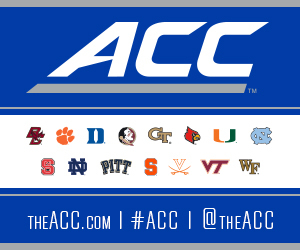 The ACC Digital Network (theACCDN) is a joint venture between Silver Chalice, a fast-growing digital sports and entertainment media firm and Raycom Sports, a long-time television producer and partner of the Atlantic Coast Conference. The television-quality, cross-platform digital video network covers the spectrum of one of the nation’s top intercollegiate athletic conferences, featuring both live programming and original on-demand content throughout the entire year. All ACCDN videos are viewable on theACC.com, the ACC mobile and tablet app, as well as various streaming and connected mobile and TV devices such as Amazon Fire, Apple TV and Roku. Sports Techie, ACC student-athletes such as Stengel are amazing sport performers. Thanks to the ACC digital network technology, a fan vote promotion earned her the Must See Moment award over some equally impressive athletic feats. After watching the movie clip, go back and watch the video replay of the ACC Digital Network winner of the Must See fan vote to enjoy the truly incredible talent level, football discipline and clutch team play Stengel executes just like Beckham and countless other kids who practice so that one day, they can play at an ACC university and beyond as a Pro.